Salivating over thoughts of corned beef? 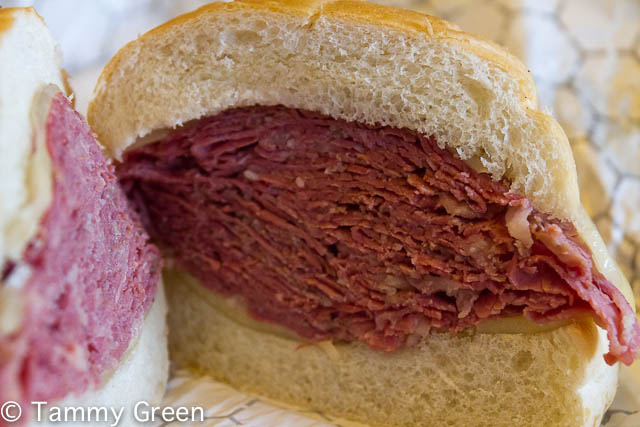 Then it’s time to swing by the city’s delis for mounds of thinly sliced, salt-cured beef brisket piled high. And maybe pick up a knish or two. Last time I stepped into Ashkenaz Deli (12 East Cedar Street), I ordered the lunch special for $8.50 that included a half sandwich large enough to feed me for three meals, a tub of split soup and a smidge of macaroni salad. The portions here are outstanding and very filling. They also carry a nice selection of dry goods including items from local vendors, so I can do some grocery shopping while stuffing my face. The corned beef is piled high at Eleven. With a two-story open floor plan, Eleven City Diner (1112 South Wabash Avenue) is not only a deli, it’s a dining experience. I try to get a seat at the counter/bar so I can watch the baristas make egg creams and vanilla Cokes while waiting for my sandwich to arrive. “The Steve Dahl” comes piled high for $10.79 or piled even higher for $12.79. The side of guilt (also on the menu) is a bargain at $0.00, so fill up. Perry's Deli satisfies the work crowd. 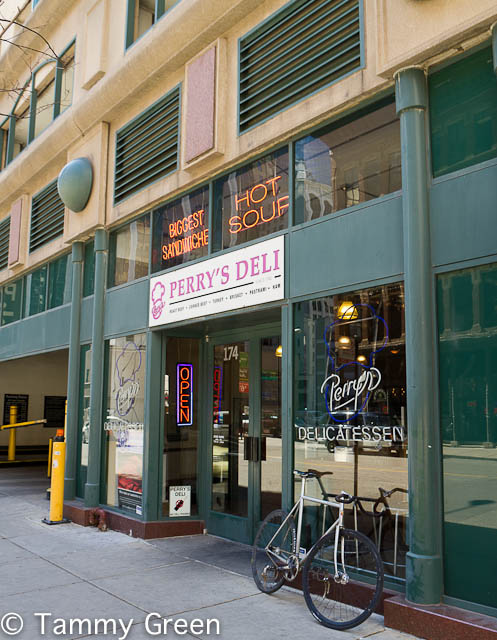 Perry’s Deli (174 North Franklin St) has been serving mountainous sandwiches to the downtown lunch crowd for over twenty years. The place is a stripped to the walls, bare-bones cafeteria experience that I appreciate. I also like their no-cell-phone policy — it’s refreshing to eat somewhere without the digital distraction. 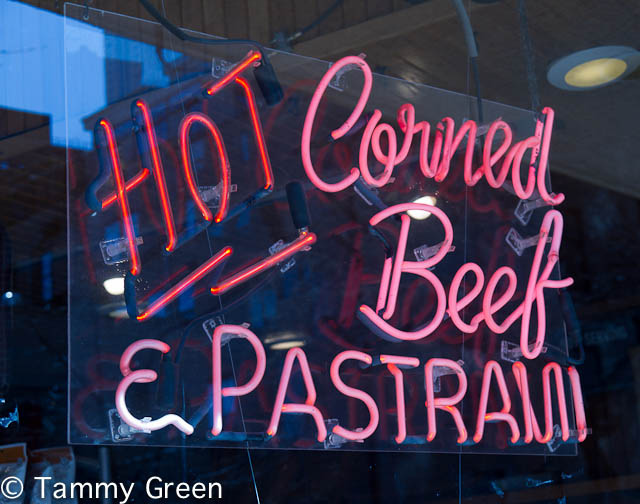 Get the Corned Beef Sandwich with Russian dressing for $9.25. Plan to take at least half to go. This entry was posted in Dining and tagged Ashkenaz Deli, deli, Eleven City Diner, Perry's Deli. Bookmark the permalink. You left out the best – The Bagel on Broadway!